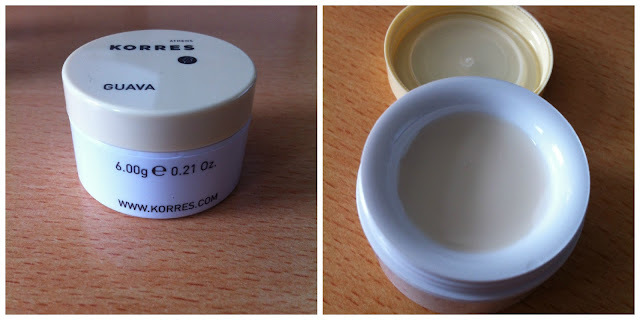 I finally have my hands on a Korres lip Butter. I have seen a lot of bloggers blog about them and I really wanted to try them. So today whilst in Waitrose getting some Strawberries (random I know but they were on offer), I remembered we needed some hand wash at work, so off I went down to the toiletries section when I came across as the Korres Lip Butters and they were on offer at £4.66 each instead of £7 – BARGAIN!! So I stood there for about 20 minutes debating whether to buy Guava, Quince or Wild Rose and ended up with Guava. “This buttery Korres Guava Lip Butter melts into your dry chapped lips & leaves a natural colour and scent, perfect to wear alone or underneath your favourite lip gloss for extra moisture. The shea butter and rice wax in Korres Guava Lip Butter provides your lips with deep, long-lasting moisture and protects from the elements, leaving you with perfectly soft and conditioned lips that are good enough to kiss! Well as soon as you put it onto your lips it absorbs itself with no problem and instead of clinging to your lips like Vaseline does, instead it does leave behind a shiny glint to your lips, totally naturally and it looks really nice, the texture is slightly thicker than your usual lip balm might be, but for me this just adds to how much it moisturises. My lips feel lovely and soft when I put this on and hopefully in a week or two, with the help of Lush Bubblegum, my lips will be back to their usual kissable selves, the joys of having a cough and cold and the havoc and it plays on your skin. The thing I like most about this lip butter is the fruity smell, really lovely and if you have tried the shower gel in the same flavour, it is just as wonderful. Korres Lip Butters are widely available at places like Waitrose and online through Feel Unique, Look Fantastic and independent pharmacies. Have you Tried a Korres Lip Butter? Do you have a favourite flavour? It's too pigmented for what I wanted it and smear easily. They also sell them in the birchbox shop if you get birchbox save up your points you can treat yourself to a free pot. Oooh, I haven't heard of this before, but now I really want some!! Great post! Oooh sounds fab! I've never tried any Korres product but have always wanted to! Great review! 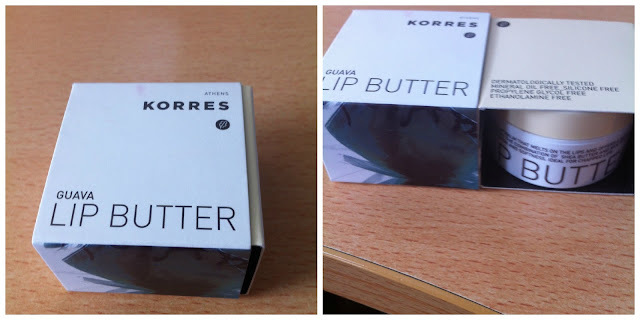 I've heard so much about the Korres lip butters - so of course I've been dying to give them a try and see what the hype is about! I wish they were cheaper though! One day... :] You got a bargain!